Rajasthan is one of the largest states in area wise with Jaipur as its capital. Institutes with national importance and research centers of excellence are located in this state. Colleges in Rajasthan offer courses such as under graduate, post graduate, doctoral, diploma and certification programs in various fields like Arts, Commerce, management, education, law, science, social science and so on. 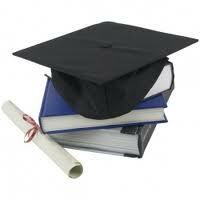 Some Colleges offer specialized education in specific field of study. Colleges in Rajasthan offer higher education through different mode such as regular studies, distance learning, certain Colleges offer academic programs from their campus, residential academic centers. Most of the Colleges in Rajasthan have active placement cells which help students in getting best career. The one of the well known college in Rajasthan is Government Engineering College Ajmer which is affiliated with the Rajasthan University. The faculties of this college are well versed.